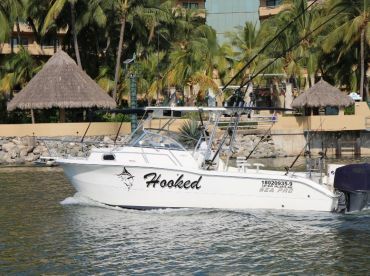 Fintastic Fishing Puerto Vallarta is one of the only boats where everyone can fish the whole time. 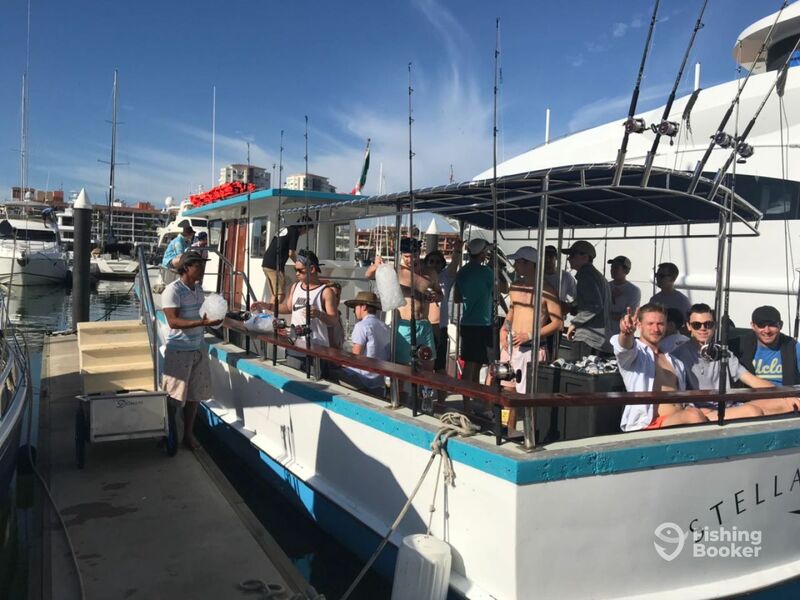 It means that you can bring your friends, family, and colleagues to enjoy a fun and relaxing day on the water full of action and amazing catches. 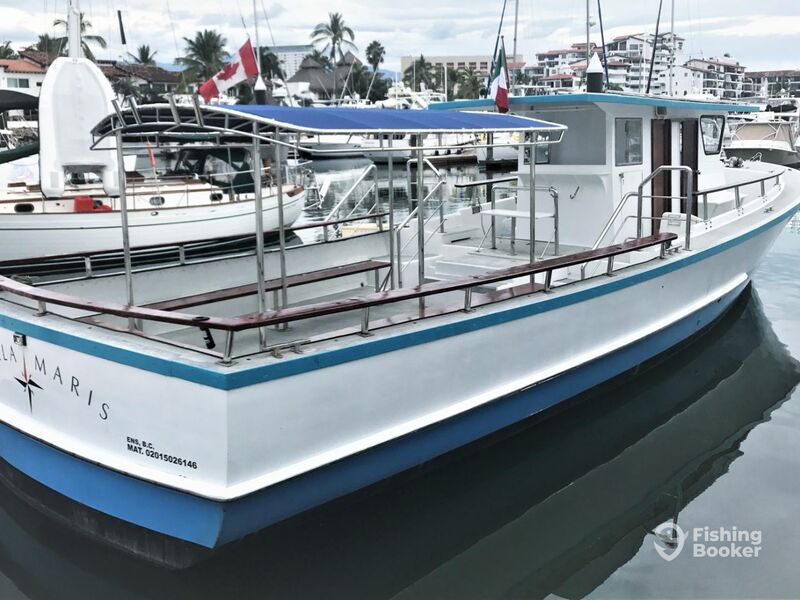 All you have to do is hop onboard the “Stella Maris”, a recently restored 50’ Uniflite boat. She can comfortably accommodate up to 20 passengers. 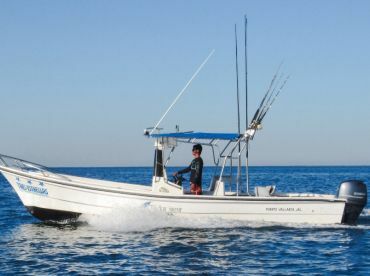 The Stella Maris comes powered by a 285 HP Detroit engine and is equipped with an array of professional equipment and top-notch electronics. She has a 3D fish finder, a Chirp Technology radar, a GPS, and a VHF radio. As well as that, the Stella Maris has two separate toilets for your maximum comfort on the water. 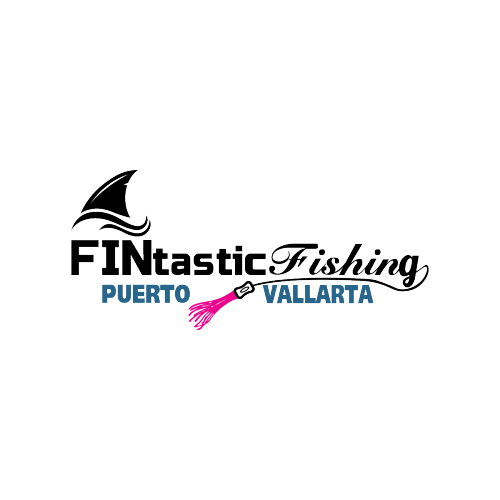 Fintastic Fishing Puerto Vallarta is a crew of professional anglers who will work hard to make sure you have a productive day on the water. 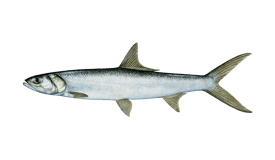 The Mate will bait your hooks before you make your first cast and take care of your fish on ice when you’re done catching. 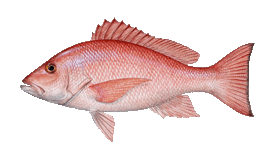 You can taste it for dinner in a local restaurant later if you don’t release it. 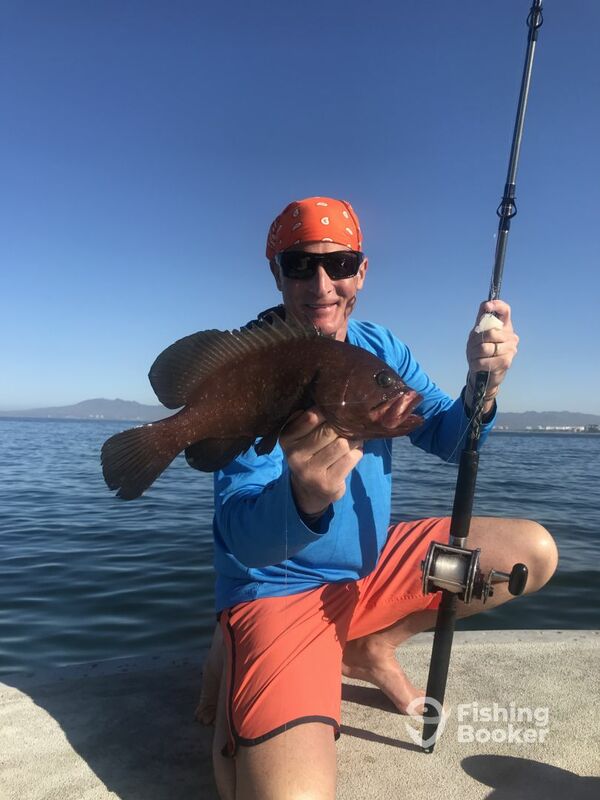 Your day out will see you fishing the bay for anything from Snapper, Barracuda, Jack Crevalle, and Skipjack Tuna to Red Grouper, Seabass, Ladyfish, Triggerfish, Barracuda, and Spanish Mackerel. 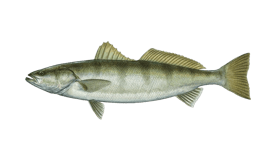 You will be bottom fishing, trolling, jigging, and drift fishing for whatever is in season and biting. 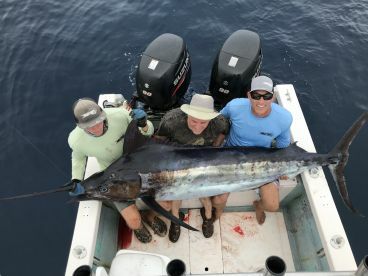 All trips come inclusive with rods, reels, tackle, and the licenses. 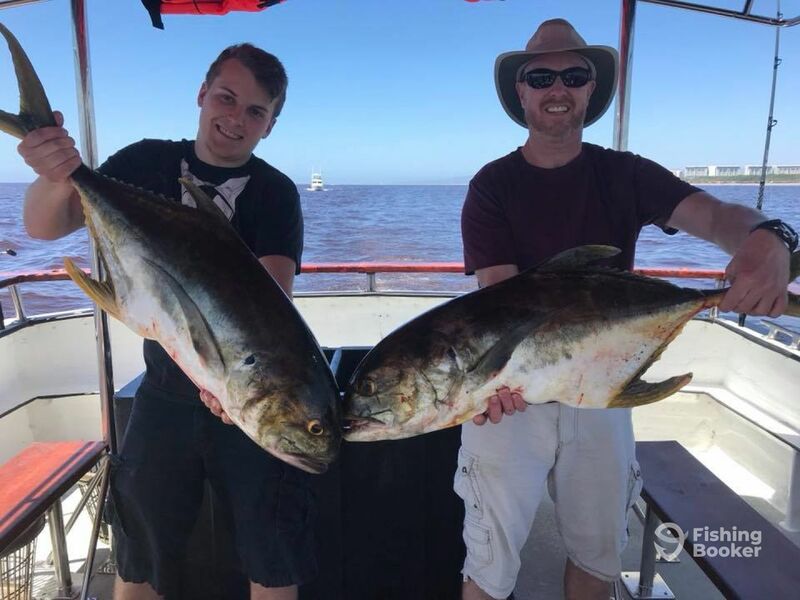 On this 5-hour fishing trip, you'll do a little trolling, as well as bottom fishing and drifting around some of the hottest spots on the bay! 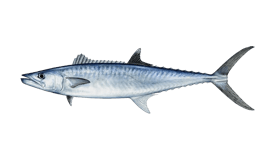 You can expect to catch a wide range of species with all three of these techniques, including Skipjack Tuna, Spanish Mackerel, Red Grouper, Snapper, and more! 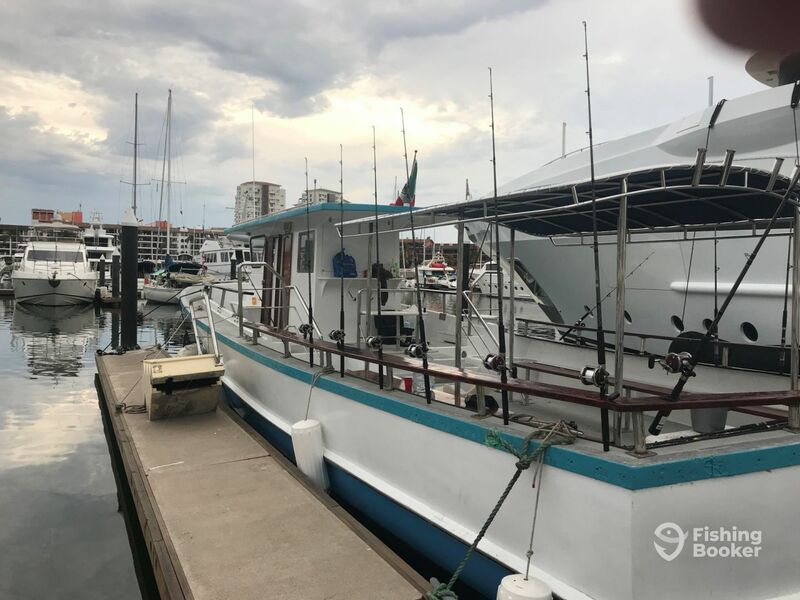 You'll start the day by boarding at Marina Vallarta, then cruise south to Los Arcos Natural Reserve so you can snorkel and enjoy the wide variety of sea life. You'll cruise for a little longer until you reach the next snorkeling destination so you can compare the 2 amazing underwater sceneries. 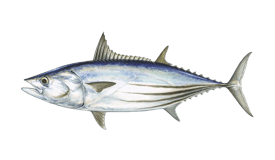 Your final stop will be Las Animas Beach where you can grab lunch at one of the local restaurants there. Finally, relax on the beach for a little, then cruise back to dock. 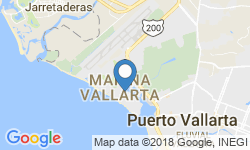 This trip takes up to 35 people! 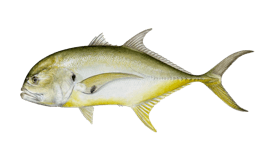 You will either be trolling or bottom fishing inshore for Jacks, Spanish Mackerel, Snapper, Roosterfish, and more! This trip accommodates up to 14 passengers. 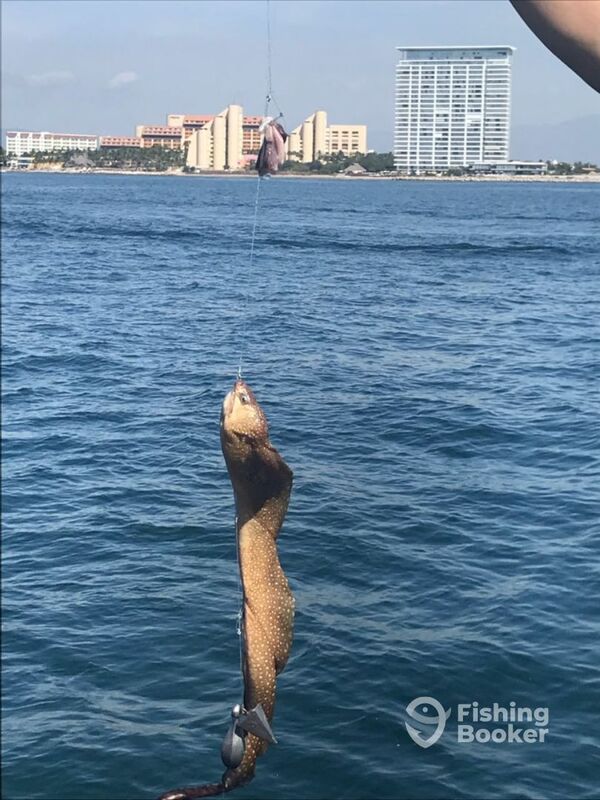 Enjoy your day out on the water! 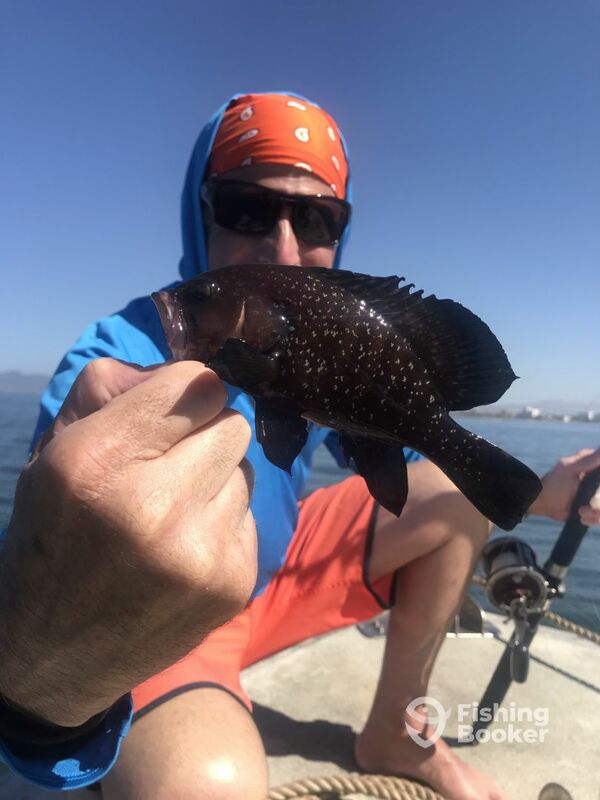 You can choose to go snorkeling or simply just cruise along the shore enjoying the breathtaking views that Puerto Vallarta has to offer! 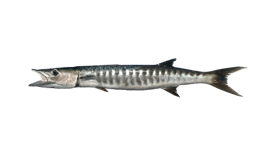 On this trip, everyone will get their own fishing pole so that they have a chance of catching the big one. 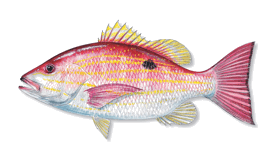 You will be trolling, jigging, or drift fishing for Snapper, Grouper, Mackerel, and more. The package is great for kids! Kids Special is $59.00 USD! 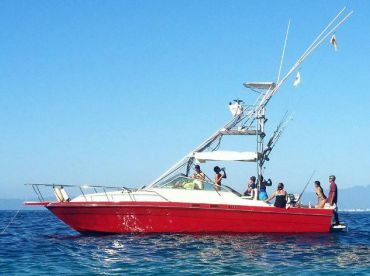 Uniflite (Saltwater fishing) originally built in 1977, and restored in 2017. Powered by a 285HP Detroit engine, with a maximum cruising speed of 10 knots. Fintastic Fishing Puerto Vallarta is a family-friendly company. 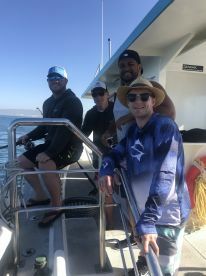 Their experienced crew have mastered the local waters and know the hottest spots around. 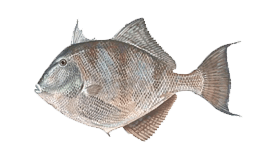 They can cater to anglers of all skill levels and ages. 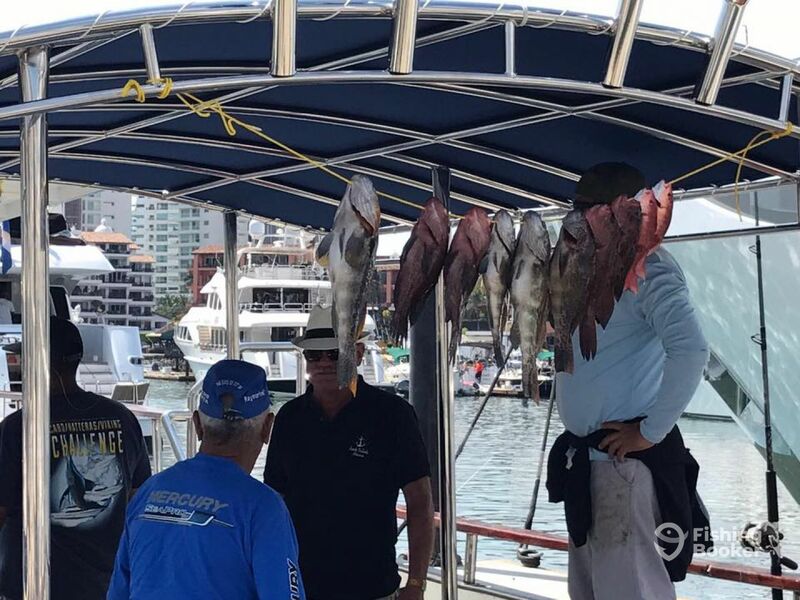 The team of Fintastic Fishing will assist you throughout the adventure to make sure you have the best day on the waters of Puerto Vallarta. 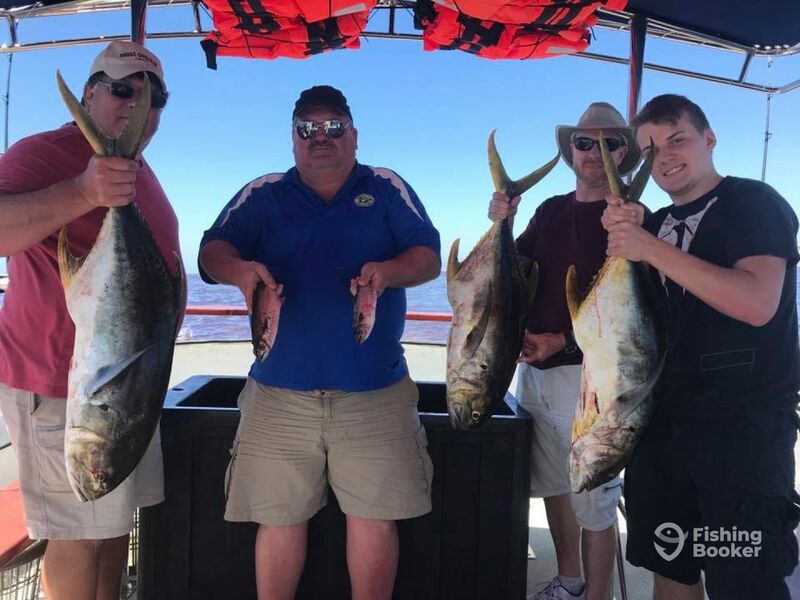 Thank you for having chosen us to take you and your group fishing. My crew and I work very hard to make sure everyone has a great time. Thanks again and we hope to see you back soon. We left early to our first fishing spot and even saw some whales and dolphins on the way! Because of a strong current we rather quickly moved to our second location where we had more luck! 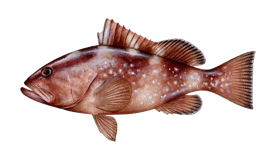 Some red snappers, mero or groupers. On our third and ultimate spot the bigger sized fish were caught. The boat is big and comfortable with facilities on board! 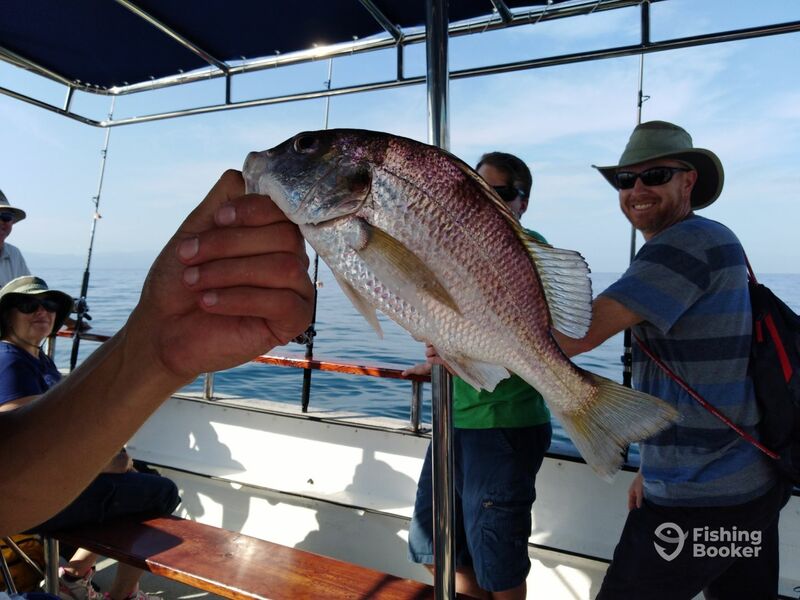 You can buy snacks and drinks on board and above all they have a super great team of guides with amazing fishing skills! 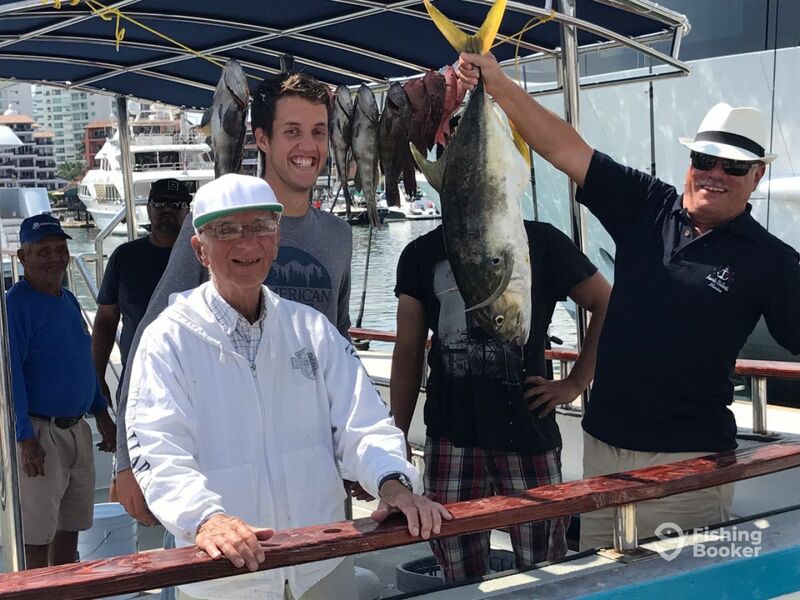 All in all we had a very successful and enjoyable fishing day! 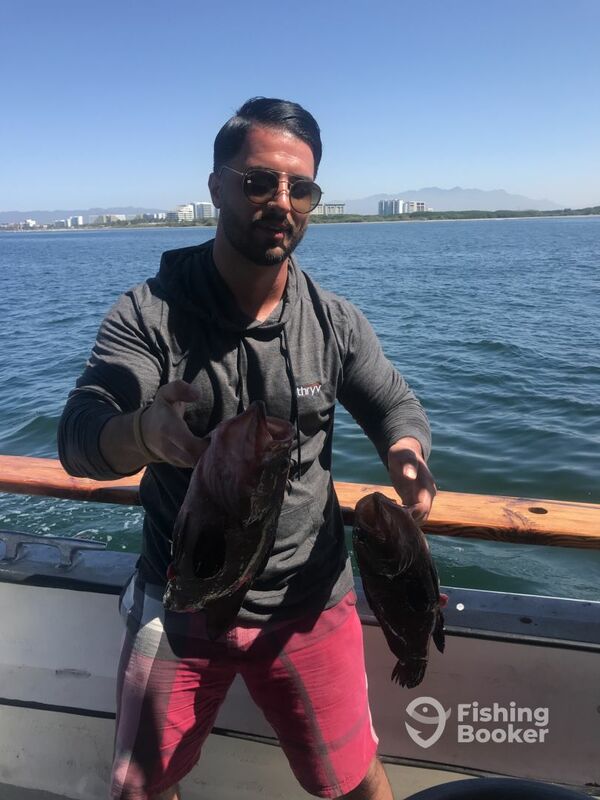 Thanks for fishing with us. 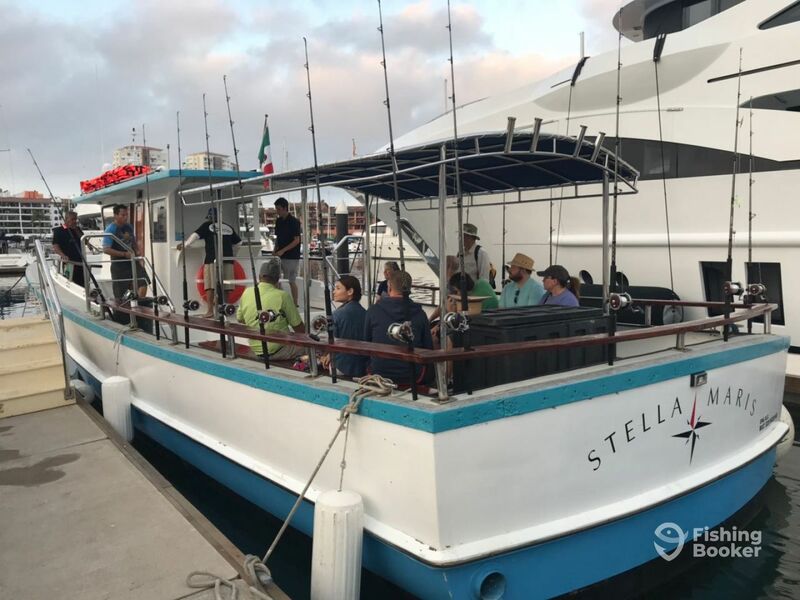 We enjoyed having you aboard the Stella Maris. We look forward to the next time. 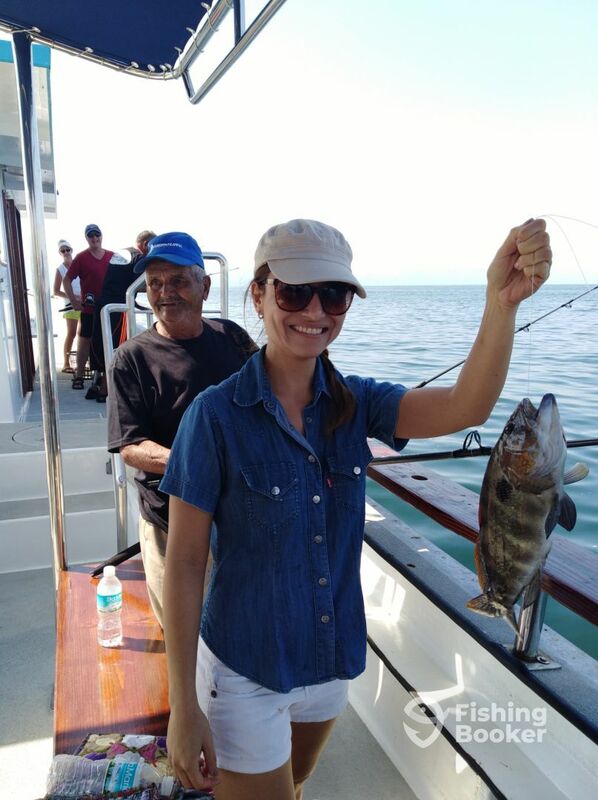 This was my first fishing trip in Puerto Vallarta and I had a great time! 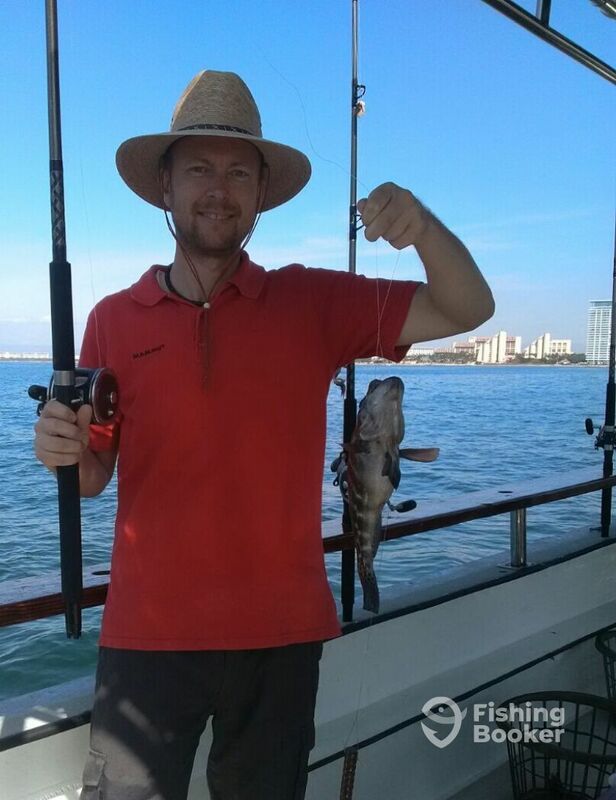 I caught my first grouper well actually 2 of them! The boat is very roomy and super stable, the owner was telling me that it used to be a USNavy boat so super strong! Overall I had a great time and ill be back next year for sure!